The upgrade from the Samsung Galaxy Note8 to the Note9 may be mostly about the the battery and S Pen, but it also brings the dock-less Dex feature, which gives quite a lot of extra freedom on the go. Instead of that dock wherever you go, a single USB-C to HDMI cable will be enough to move your work to the big screen. Why not even show off those crisp pictures you took on your last trip with the Note9 on that living room TV? 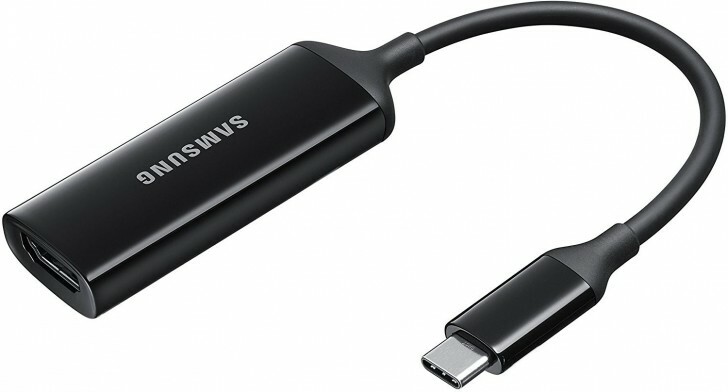 Samsung's official dongle supports up to UHD resolution screens with 60Hz refresh rate. It supports HDMI 2.0 and DisplayPort 1.2 standards and it's currently on sale on Amazon. And while you are at it, why not snatching one of those discounted Note9 units on Ebay as well. This dongle is old news. Been around for 18 months at least, why are they writing article about new release??? You mean Note 9. Because they want you to buy a 9. Apple do this too. Remember the forced memory issue with the iPhone or inability to upgrade older iPads with iOS 11, despite them having the power to run it? Built in obsolescence.